1.2 What Can the Amazon Show Do? 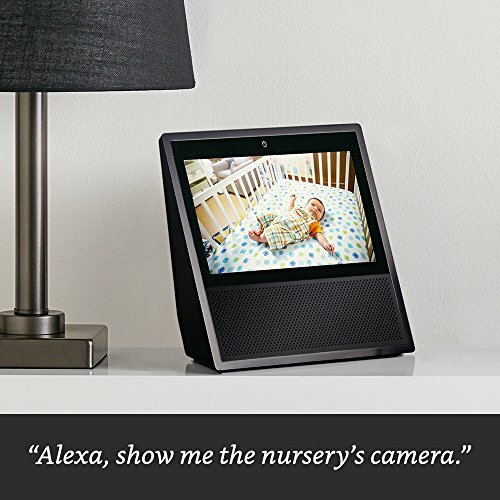 “Seeing” what Alexa is telling you elevates the experience, while being able to swipe when you feel like it makes it more user-friendly. Now, you don’t need to imagine what a slipknot looks like or what kind of Salmon to use for a recipe because its right in front of your face. This expands what Alexa can do for you, although there may be some limitations. For instance, I’m not sure how great watching your favorite movie will be on a 7” screen. 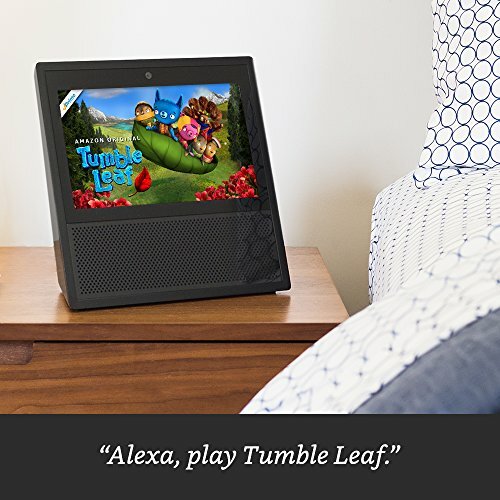 Think of the Show like a tablet on steroids; shaped like a wedge, you can place it in any room or countertop, giving you instant access to all your apps and smart devices. Measuring .4 x 7.4 x 3.5 inches, there is a 5-MP camera, dual-band Wi-Fi, an Intel Atom x5-Z8350 processor, and dual 2-inch speakers from Dolby. 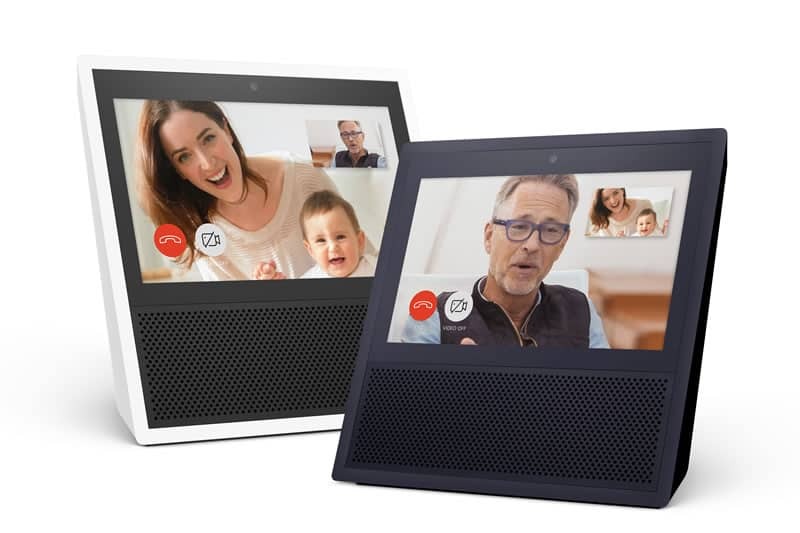 It also has 8 microphones mounted across the top to pick up your voice and a colored touchscreen to operate it on days when you don’t feel much like talking. What does that mean for you? Basically, it means the Show should deliver better sound than the Echo Dot and still be able to hear you loud and clear without you having to shout. And, with the exception of the newly announced Echo Look, the Show is the only other device to currently have a camera built-in. What Can the Amazon Show Do? How the Show looks is of little importance compared to what it can do, which is plenty. Let’s look at all the things, new and old, it’s capable of. 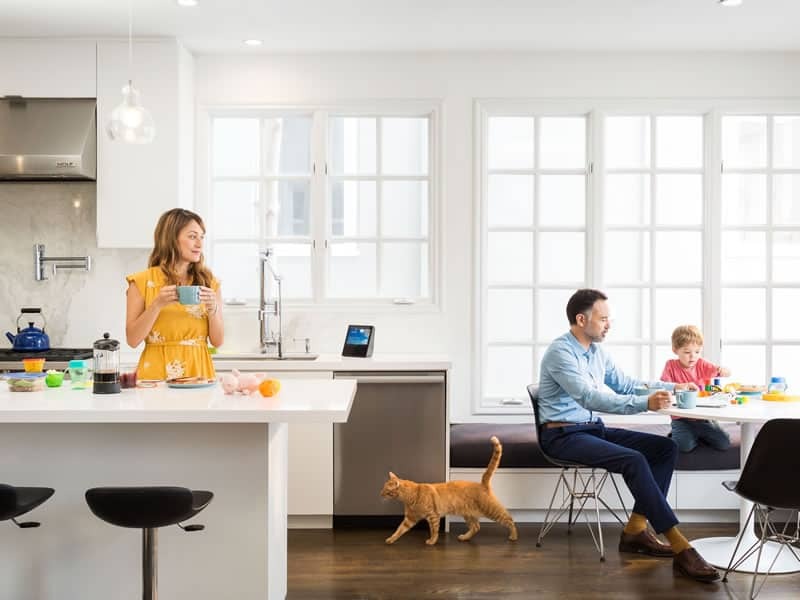 To start, just as with the Echo, you can use the Show to control the smart devices around your home, answer your questions or order from Amazon and other select merchants, including Uber, Dominos and more. It can also stream music from Prime, Spotify, iHeartRadio, Pandora, and TuneIn Radio; which means, as with the Echo, you don’t HAVE TO have a Prime account to use the show; but between me and you, it does make the experience better if you do. Another thing that makes your experience better is its ability to play videos. Whether it’s a news flash from CNN or a step-by-step pizza making show on YouTube, you can see it live and in color with a quick command. You also have the ability to see video from a compatible security camera. In addition, you can use the Show to stream Prime TV shows and movies, which may or not be a good thing. While the screen is fairly small, I’ve watched many shows on my 7” Fire tablet with no problem. As long as the video is a good quality, which it should be, there shouldn’t be an issue. And if that’s not enough, there’s the new Alexa Calling & Messaging service, which has a couple of cool components. 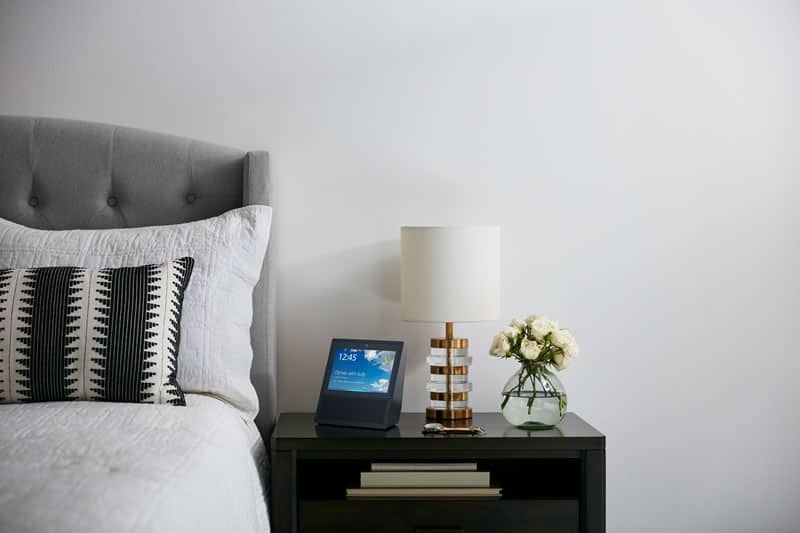 Using all Echo devices and Alexa apps, you can make free calls, texts, or video chats. Now, you can even consider a cheaper sibling as Echo Spot (available in Dec 2017). You also have the ability to choose audio only when answering a call; so, if you’re working from home and don’t want your boss to see you in your pajamas, he doesn’t have to! Plus, you can use the Drop In calls feature to choose people that you want to be able connect instantly. Which may or may not include your Mother-in-law. Looking at the Amazon Show, it seems like the real deal and I think it’s going to be the next big thing. Available for pre-order for $229 (you can get 2 for a discount: $358) it will be on sale starting June 28.